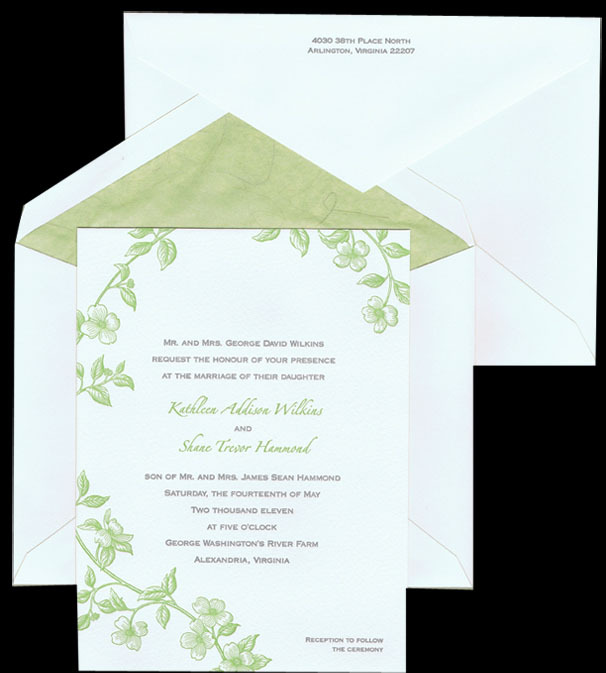 glad to help you customize your invitation and give you a price quote. There is an additional charge for multiple-color printing. The soft texture and absorbent nature of this paper make it suitable for letterpress and engraved printing only. Please note: Border Motifs are not available engraved.